Okay, let's get this "disclaimer" out of the way right off the bat. Any "best of" determination is always going to somewhat subjective, including this one about the best barbecue grill under $1000. There will never be universal agreement about which of anything is best. And no, I haven't owned and personally tested all the grills out there. But after reading the reviews by owners and consumer testing services, and after comparing product specifications, I have drawn my own conclusions. Based on the aforementioned criteria, my pick for the best barbecue grill under 1000 dollars(gas models) is Weber's Genesis E-320. Available for about $750, the E-320 is a solid choice that will give you years of reliable service. While short on bells and whistles, the Weber Genesis E-320 does what it does very well. 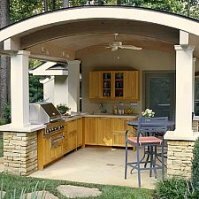 After all, you're looking for the best barbecue grill under 1000 dollars, not the longest list of options for under 1000 dollars. 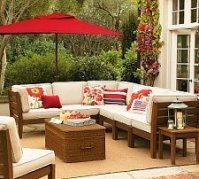 Weber is a well known company with an established reputation for quality and service. As you would expect from Weber, the Genesis E-320 is durable and well built. The E-320 is available in both natural gas and LP versions. 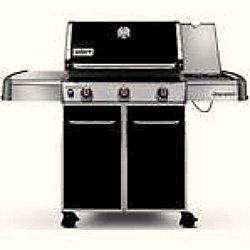 The Weber Genesis E-320 has a cooking surface of 507 square inches, measuring approximately 19 inches by 26 inches. It produces 42,000 BTU's of heat in the main cooking area and another 12,000 BTU's with its side burner. The cooking grates are cast iron with a porcelain enamel coating. They are very heavy duty with each of the two grates weighing about 10.5 pounds. There are three stainless steel burners as well as a side burner. The E-320 heats quickly and evenly and is backed by a good warranty and a company with a reputation for excellent customer service. While it is a little short on shelf space to work on, it more than compensates with its solid performance. This is an attractive grill with a combination of painted steel and stainless steel. In my opinion, this is the best barbecue grill under 1000 dollars, at least in the gas models. 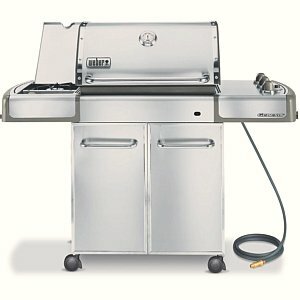 If you prefer an all stainless steel model, you can upgrade to the Weber Genesis S-320 for about $100 more. The grill is the same except for the finish. If you like the E-320 but don't want a side burner, the Genesis E-310 will save you about $50. 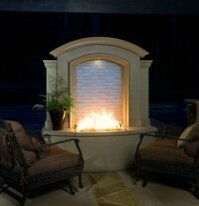 If you are looking for a built-in grill, check out my page on your best choice for that as well.